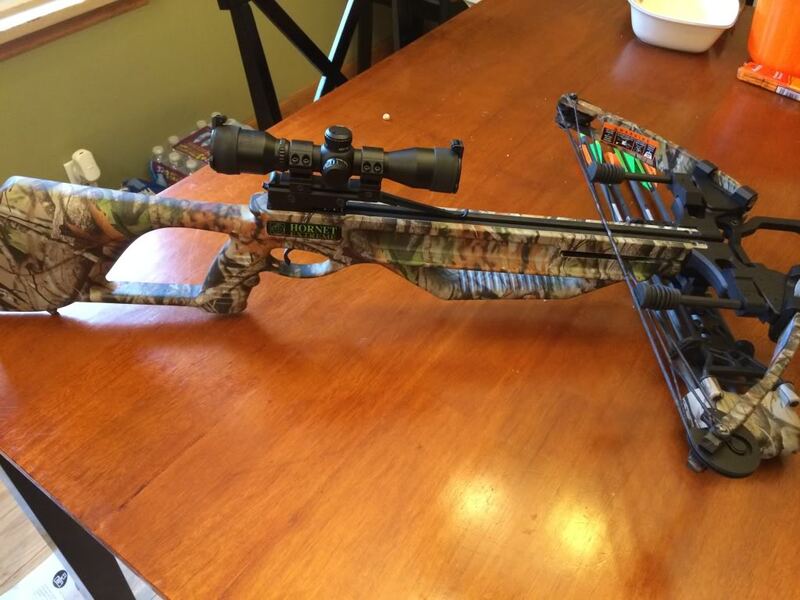 Crossbow Academy: ballistics, sighting, tuning 20" 34" / 7.5 lbs. A rope cocking aid was not included with my package. Took me less than 10 minutes. A beginner will require a bit longer, though no more than 15-20 minutes with the help of the detailed assembly instructions. I consider the Parker Hornet Extreme to be one of the two finest crossbows in the “below $800” price range on the market, the second being the Barnett Buck Commander. Achieving tight groupings from 60 yards is a breeze even for a relative beginner with very little crossbow shooting experience. Penetration is superior to that of almost any crossbow I’ve owned. Expect to struggle trying to pull the bolt out of the target due to how deep it will go. The limbs are designed perfectly, allowing the string to apply equal force on both sides of the bolt, resulting in perfectly straight flight trajectory. Put simply: if you are within 50 or even 60 yards from any game, you’ll take it down as long as you hit it where you should. Ribs and bones are not a problem and the bolt will pass through even very thick layers of body fat. It shoots so fast and quiet your prey won’t even have time to flinch before its hit. As mentioned earlier in this Hornet Extreme review, a rope cocking aid is not included with the package. Given the limbs have 165 lbs. of weight, you should definitely buy a rope separately. Even if you are very strong and can dead-lift 300 pounds, I’d still recommend using a cocking aid. Manually cocking a crossbow often results in an uneven draw, reducing shooting accuracy. Nothing spectacular here, but it definitely does its job. The 3x multi-reticle scope provided is sighted right out of the box. 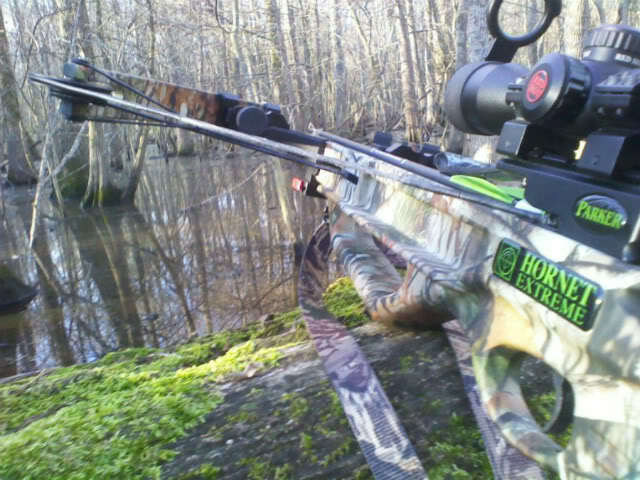 If you need help sighting your crossbow for any reason, refer to our guide. Fog-proof and water-proof. Optics do a good job at gathering light and will present you with a clear view of the target even during twilight conditions. Top reticle is for 20 yards, middle for 40 and bottom for 60 yards. Again: nothing phenomenal here, but it’s highly unlikely you’ll feel the need to get a different scope. My Parker Hornet Extreme crossbow came with 4x 20″ bolts. Along with the provided field points they weigh 400 grain. These are the same bolts Parker sells separately (amazon.com link) and which can be bought in packs of six. If you decide to purchase additional bolts, remember that they don’t come with any field points or broad-heads. They should be 20″ long. They should weigh 400-420 grain total, including shaft, insert and point. Never user bolts that are lighter than 400 grain or you could induce a partial dry-fire, damaging your crossbow and voiding the warranty. I consider Parker’s crossbows to be among the most comfortable and safe ones to shoot. This is thanks to the pistol-style grip and the vented forearm, both of which provide for extremely stability, while keeping my fingers protected from the raging string. The two pre-installed string suppressors are awesome. As soon as you pull the trigger and the bolt is propelled, the suppressors will “catch” the string and prevent residual vibration from occurring. This is what makes the Hornet Extreme so quite and easy on the muscles. An elevation in the comb of the stock makes it very comfortable to rest your cheek against it. Unlike other compound crossbows the Parker Hornet Extreme is exceptionally well-balanced. In other compounds there’s usually a little to much weight near the front of the crossbow (due to the presence of the cams and cables). Parker’s x-bows do not suffer from this issue, while still being among the lightest compounds out there. My Hornet Extreme came with a lifetime warranty, just like all of Parker’s crossbows do. You’ll have 2 weeks to register your product after you purchase it to activate the warranty. If you miss the deadline though, get in touch with Parker’s customer care and they’ll help out. The warranty is for the life of the original owner of the crossbow and covers everything except for the string and cables. 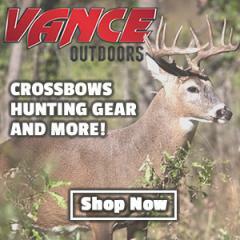 Dry firing and / or modifying the crossbow will void the warranty. As far as customer service goes: Parker’s is the best in the industry, hands down. Extremely professional, fast, and with great attention to detail. It almost feels like having your own personal crossbow expert available for 24/7. You can feel 100% comfortable that no matter what happens, Parker will solve the issue quickly. This comfort alone is well worth the money paid. What Crossbow Case Fits the Parker Hornet Extreme? The Parker Hornet Extreme fits into the Carbon Express Deluxe Case as long as the scope is not on the larger size. It ranges from $65 to $70. The Barnett Case (Model 17083) is always a good choice for most any crossbow and costs $50 to $55. Thanks for reading our Parker Hornet Extreme review. This crossbow will satisfy everyone, regardless of experience level. Excellent for target practice, superb for hunting any game. Take a look at today's amazon.com price on this crossbow and check out our top 10 crossbows rankings for more.